Sometimes, the unexpected happens. You may be driving along the highway and get a flat tyre, or about to put a cake in the oven and electricity goes out. Like these unforeseen unfortunate events, plumbing incidents just seem to happen. They can happen when you are in the middle of a shower, when no one is at home or in the middle of the night. Immediately, we took down the address of the Cannon Hill property and a local plumber was sent out to investigate the situation. The plumber quickly ensured the property was safe from further damage, as often the property may be susceptible to water damage, which produces its own new set of issues. While investigating the burst hot water system, the plumber noted that the water had began to pour out of the top of the hot water unit. Subsequently, the water supply for the hot water unit was turned off and the plumber disconnected any electricals to the unit to avoid any water-and-electrical issues. Following this, the owner was advised that the hot water system would need to be replaced as unfortunately the tank could no longer be serviced. The plumber also notified the owner that the hot water unit did not meet certain required plumbing standards. These standards require the system to have lagging on the lines and a concrete base. Although our local plumbers can be called out to fix an issue at any hour of the day, our supplier is not always open to those hours. In this instance, we notified the owner that we could return first thing in the morning to replace the unit, as our plumbing supplier would be open then. At the owner’s approval, our plumber returned at 7:00 am the next morning to supply and install the new 160 litre hot water unit. We also supplied new valves for the hot water unit, installed thermal lagging of all the required pipes and provided the concrete base for the unit necessary as per plumbing regulations. We were able to complete the work in full that morning, as our plumber are all certified with restricted electrical licences to carry out disconnecting and reconnecting electricals for the hot water units. 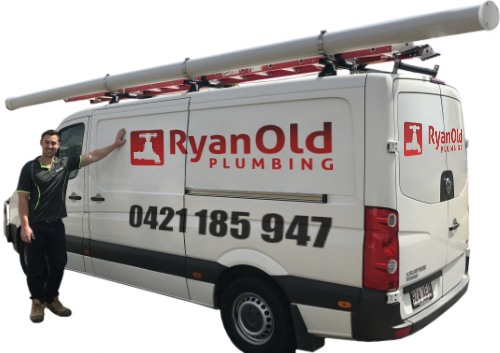 In under 24 hours, Ryan Old Plumbing ensured that the hot water system for this Cannon Hill property was replaced and confirms to plumbing standards. In less than a day, from when the old hot water unit had burst, the customer is now able to enjoy hot water to the property. We are shocked to learn our heater needed to be replaced but it's amazing how fast these guys had it replaced. Amazing work from Ryan and his team. Our team is available 24 hours a day, seven days a week for all your emergency plumbing.